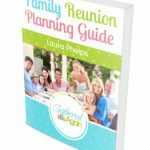 Halloween is not only about trick or treating door-to-door; it’s a time to throw some of the best parties and family reunions imaginable! If having a spooktacular party on Halloween makes your skin crawl, that’s the excitement talking! 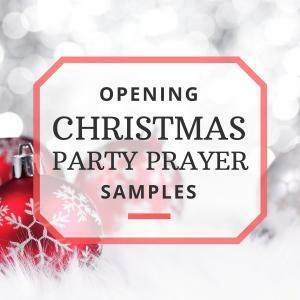 Unless this is a party just for children, do not settle for the cheesy invitations in stores that are covered with cute and cuddly creatures; shop online for the invitation that will have the family RSVPing faster than you can say Frankenstein! There’s many websites out there, but my favorite to shop from is Etsy because you are typically supporting small businesses and entrepreneurs. These Halloween invitations on Etsy are the perfect mix of spooky and “you better be there or else…” The best part is that these and many others come in the form of a digital file, so you essentially pay one set price and can print as many as you want or need. Fog Machine: Fog machines are relatively inexpensive, but you get what you pay for. Your best bet is to rent one from an equipment rental place for cheap, or borrow one from a friend who might have one! Dead man hanging: If you have access to a dummy or know how to make a durable dude using a mask and clothes, hang a guy from a noose in the corner. If you don’t have a way to accomplish this, hit Dollar Tree and pick up one of those hands attached to a sleeve and hang it out of the bathtub, spattering fake blood all over to make it look like a crime scene. Zombie dolls: Big “my size” dolls are the best, but any dolls will do because dolls are just kinda creepy anyway, right? Well, for this project you will paint them to look like they are dead, or even zombies, dirty up their clothes, black out or white out their eyes, mess up their hair, make them look like they’ve gone through a really tough time. It’s up to you to decide where they will go. Real finger food: Check out this pin on Pinterest, how clever to make hot dogs look just like fingers! I do believe they would be better suited in a bun at full length, but don’t forget to make them look like fingers! Plate of worms: Not real worms, but jello worms! Follow this easy tutorial to make jello worms using bendy straws. Spike the jello with liquor to make it a fun adult snack, and don’t forget to place them on a plate full of crumbled oreo for dirt! Hand in punch bowl: You must have some kind of punch for your party, so whatever you choose, don’t forget the hand! Fill a latex glove with water, not too full, just so the glove is filled without getting stretched. Tie it off and freeze it. Once frozen, remove the hand from the glove and plop it into the punch right before the party, it looks awesome throughout the night as it begins to melt! Adult Halloween parties don’t typically contain many games, but we’re talking about family parties, and games can make for a scary good time! 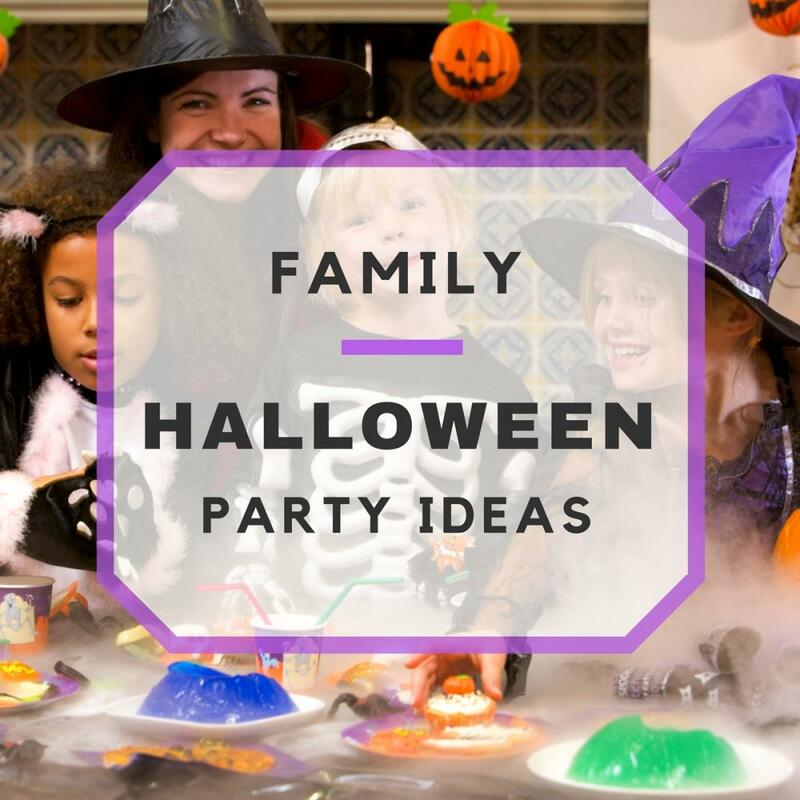 Try these fun family Halloween party ideas! Costume contest: You’re bound to see a bunch of good costumes, so be sure to have a costume contest! Make this announcement on the invitation so everyone wears their Halloween best! Glow games: Kids love stuff that glows, so planning some fun and easy games and crafts using glow sticks, glow paints, and any other glow-in-the dark details! Under wraps: Have a mummy-wrapping contest! You can use rolls of fabric, or toilet paper if you are on a tighter budget. Usually party favors for a good Halloween party or reunion is a bunch of candy! It is Halloween, after all! Rather than using goodie bags, put the candy in something everyone can get some use out of such as mason jars. For the kids, give them something that will increase their visibility while trick-or-treating, such as finger lights or glow sticks!